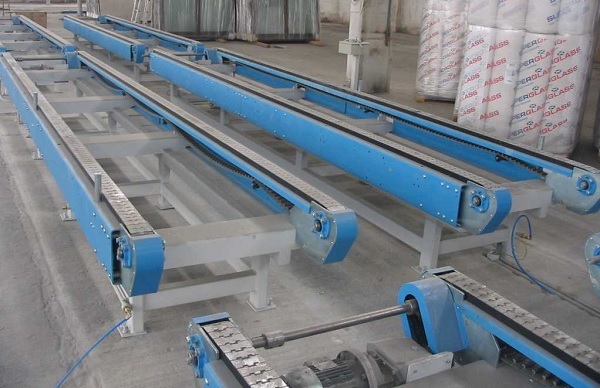 Motorized Buffer Tables enable rapid material handling between work stations within your production line. 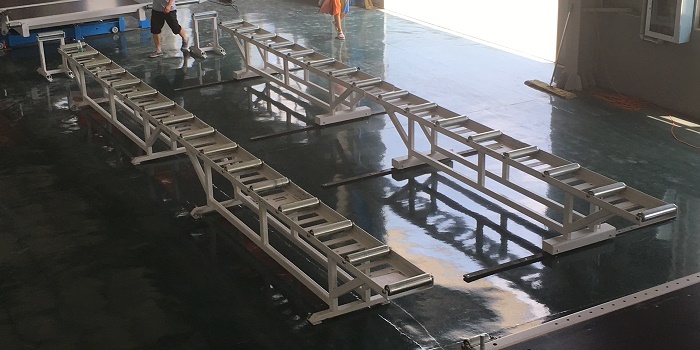 These tables are made of robust steel profiles and bent and structured elements, and are equipped with motors to assist the movement of wall panels to different areas of production. Buffer tables allow higher flexibility in production. 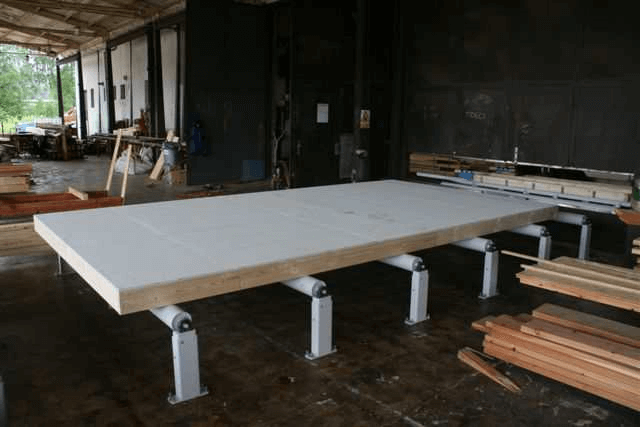 Our engineering is able to customize your table to the specific needs of your production, with options for adjustable widths and any length or configuration which is optimal for your facility. If you have unique needs or something custom in mind, share your ideas with us to get the conversation started.